The first thing Janie Lowe wants you to know about Yolo Outside, her company’s new line of outdoor paints, is not that it is environmentally friendly. If you really want to hear some excitement in Lowe’s voice, listen to her talk about color. Yolo Outside is Green Seal certified for durability, performance and manufacturing practices and free of volatile organic compounds. According to Yolo, the formula sprays out well, and has excellent coverage, hide, durability and color retention. The Yolo Outside palette is divided into six themed “families” of six colors each: Cloud, Prairie, Forest, Ocean, Desert and Canyon. For color testing, Yolo offers quarts of Outside so contractors may paint sample swatches on a substrate. “We want it to be beautiful first, so people choose it for the colors, and then they have this added value that they’re doing better for their family’s health and for the environment,” says Lowe. The exterior collection is based on the same technology as Yolo Colorhouse interior paints, a line of 100 percent acrylic latex paints with 40 percent volume solids. 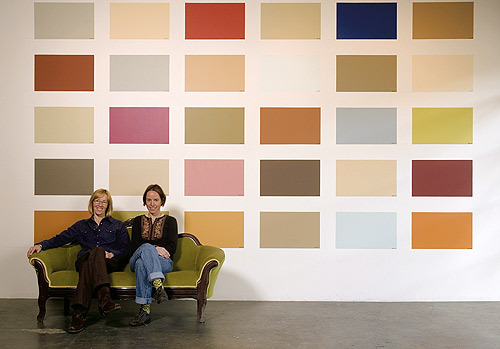 Yolo Colorhouse LLC was founded by Lowe and her business partner Virginia Young. Both have backgrounds in fine arts and had been running a specialty finishing business for several years when they began creating their own low-VOC paints. Once they saw the value in combining their color expertise with emerging paint technologies, they started a new business and partnered with a manufacturer. 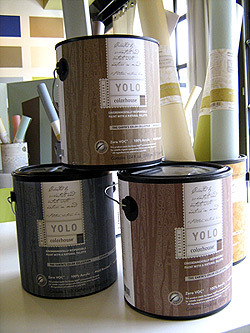 Yolo Colorhouse launched its first 40 interior colors in 2005.